Rome-born producer Nan Kolè (a.k.a. Francesco Cucchi), is on a mission to showcase Durban’s own home-grown electronic genre – gqom (the sound made by dropping a rock on tiles). 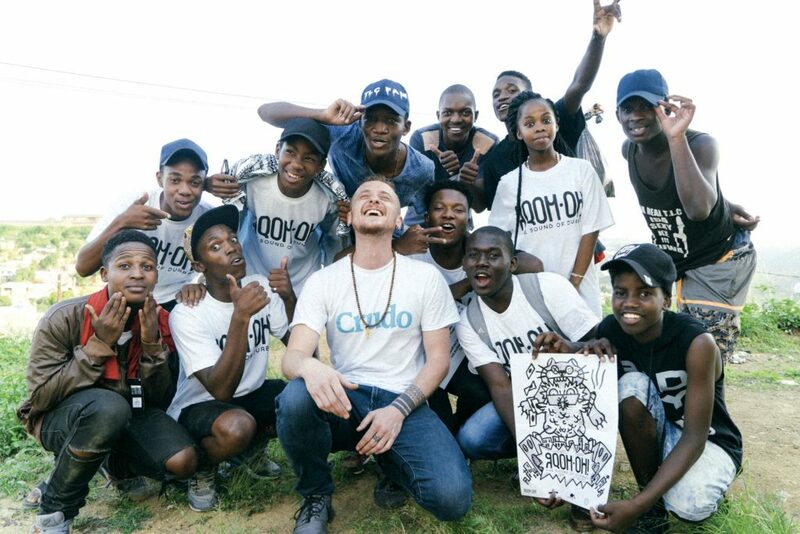 In the wake of the genre’s mounting popularity, and the launch of his label Gqom Oh! last year, My Italian Link took the opportunity to chat with Nan Kolè about the artists he’s working with, and the essence of gqom culture. • How did you come to have a career in music? • What do you love about contemporary African dance music? It’s very powerful, and it’s soulful. It’s something that really inspires new elements in electronic music. The scenes across the African continent are all unique, and they’ve really influenced European dance music in the last decade. • What exactly is gqom? It’s an electronic music characterised mainly by broken beats and crescendo – meaning it starts off slow and reaches its peak about four minutes in. It represents Zulu youth culture from KwaZulu-Natal, especially Durban. Gqom is really defined by ‘broken beats’ that don’t play by the rules of other genres. It also has abstract sampling of things like ululating, or dogs barking – anything that represents the sounds of the township. • What does gqom reflect about Zulu youth culture? 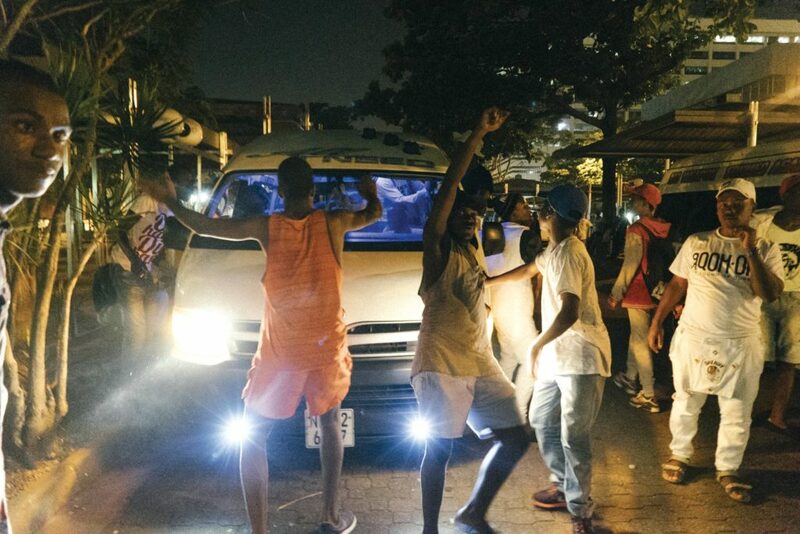 Gqom started out as the music of teenagers in the Durban scene. These guys are still living with their families, so they’ve grown up around gospel music and kwaito, for example. They’ve created something totally new. One of the important aspects is their exposure to American hip-hop and trap. In fact, gqom originated from them trying to reproduce hip-hop beats. These artists are so young, and so proud of their culture. They don’t have any political agenda, though. Gqom is straightforward party music, with no hidden message to unpack. • Tell us more about your documentary and mixtape, Woza Taxi. We partnered up with Crudo Volta last year to make a documentary based in the Inanda township in Durban. Woza Taxi is the title of the documentary and accompanying mixtape that resulted from the project, both of which are on Youtube. It showcases Dominowe, Julz Da Deejay, Mafia Boyz, DJ Mabheko, Emo Kid, Formation Boyz, and TLC Fam. Crudo Volta is a collective of Italians operating out of Europe, who did a really great job of showing gqom artists without any filter or preconceived ideas. This is the best way to represent gqom. Crudo in Italian means ‘raw’, and that’s exactly what gqom is. These guys are so pure – there isn’t a lot of internet access so they don’t have a lot of external influences. The music has evolved untainted. Woza Taxi documentary and mixtape. and Italians to interact musically? It’s important for all cultures to interact musically. Music is another level of language. You aren’t thinking about cultural differences when you’re all together on a dance floor. At the same time it’s an opportunity to learn about other cultures when you work with other artists. With gqom, for example, I have learnt a lot as a 37-year-old from these youths in a totally different world. So it’s important for different cultures to interact musically because it unites, there are no preconceptions, there’s just the music. A Guide to gqom Artists Nan Kolè suggests starting out with tracks like Africa’s cry by Dominowe, or Zulu War by Formation Boyz. You can also check out artists the producer has worked with, such as Mafia Boyz, Emo Kid, Forgotten Souls, DJ Mabheko, Menchess, Cruel Boyz, and of course, the self-proclaimed king of gqom: DJ Lag. Follow Gqom Oh! and find out more about the genre on Facebook and SoundCloud. You can also find the Woza Taxi documentary and mixtape on Youtube.